The color of window treatments not only plays a role on the interior of a home, but also on the exterior. You want to achieve a consistent look. 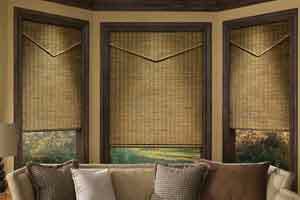 Besure to examine the backside of the window treatments so you will know how they look on the outside of your home. Some window treatments offer white backings but others do not. 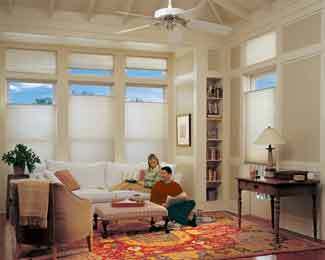 Plus, some communities have covenants against visible window treatments in non-neutral colors.